The car title loan is a valuable financial service that fills an important community need for capital. On May 18, 2016, the Consumer Financial Protection Bureau (CFPB) released a study on short-term auto title loans, which has become the center of controversy. Academics have demonstrated that the widely accepted industry repossession rates are quite different than what the CFPB has asserted. 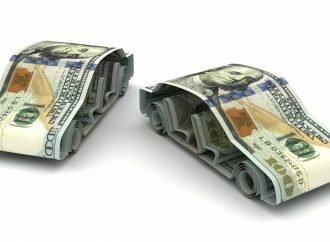 What is behind the popularity of automobile title loans? What are the political motives behind the CFPB report? Will this potentially faulty data lead to further regulation of the industry? Vehicle title loans are categorized as collateral loans, because the vehicle is used as a security guarantee. In that respect, the car title loan is just like any other collateral loan, including the common mortgage. In exchange for a lump sum payment, the borrower hands over his title to the financial institution. The borrower must then repay the loan, by making regular payments. If the borrower defaults, his vehicle might be repossessed by the lender. A high percentage of title loan borrowers are deemed to be “subprime” or “high-risk” due to low incomes or bad credit. They might have already been turned down by a traditional bank. Thus, some would categorize title loans as a “last-chance, last-resort or last-minute” capital source. Traditional and non-traditional financial institutions follow many of the same, set-in-stone, rules. Borrowers are rated for their “creditworthiness” and likelihood of being able to repay their loans. 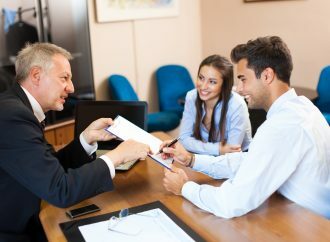 In many instances, title loan lenders can only justify their funding if there is physical property guaranteeing the loan. This risk management is a necessity for all lenders, in order to turn a profit. The car title loan lender is characterized as an alternative funding source because it might have a different source of funding, application process, acceptance rules and higher risk tolerance than a traditional bank. More flexible rules give the car title loan lender key advantages over the traditional bank. Why are Car Title Loans So Popular? In 2015, Pew Charitable Trusts Research estimated that there were 2 million Americans who used automobile title loans for funding. 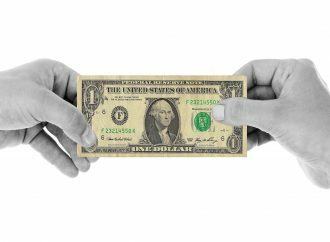 Many borrowers have developed close relationships with their lenders and an estimated 80% turned their short-term loans into longer term loans by renewing them (using the “rollover” feature.) Dozens of states offer vehicle title loans. During the 1990s, the sub-prime lending market boomed as regulations were loosened to increase capital access. Unfortunately, the subprime mortgage crisis of 2008, lead to more government regulations and traditional banks reducing their exposure to high-risk consumers. Thankfully, auto title loans have stepped into the void by offering capital access for individuals living in lower-income communities. In many ways, automobile title loans are as American as apple pie. These loans are part and parcel of the “democracy of money” – making capital available to everyone. Thousands of storefront auto title loans have opened up shop. Title loan firms want to provide an easy, streamlined application process that can get money to the borrower quickly. The online application process might only require vehicle and contact information. Some debtors receive money within an hour of their visit to a storefront location. These alternative lenders understand that their customers might have already been turned down at traditional banks due to bad credit scores. Thus, non-traditional lenders might not check income levels or credit scores; the vehicle value is the defining factor. Unlike pawn shops, borrowers using title loans can keep driving their cars. Also, the “rollover” feature is a nice way to create a solid, long-term relationship with the financier. Car title loans fill an important short-term, bad credit consumer niche. Each state has complete control over which types of businesses are allowed to operate within their borders. More than two dozen states in the United States of America have allowed title loans (the list is ever changing). The states realize that there are many subprime borrowers who are not receiving personal loans from the traditional banks. For example, the State of Texas categorizes car title loan lenders as credit access businesses (CABs). Some states, like Illinois, require licenses for car title lenders. The State of Illinois even lists the approved licensees on its government website. The State of Florida has outlined numerous rules governing repossession, including notification of borrower, right to voluntarily turn over the vehicle and ability to repurchase the car before the auction in “Florida Statutes, Chapter 516.” Also, most states only permit repossession on public property. In every state permitting car title loans, the consumers can contact the state’s Attorney General or other government officials, with any complaints. If there is a problem with a title loan company, then the state can file a lawsuit or revoke the license of said offender. Therefore, the states have already established numerous guidelines, safeguards and protections for consumers who take out auto title loans. And yet, the CFPB has recently published a potentially politically-motivated study, supposedly showing that repossession rates were very high. Was the data released in the CFPB completely accurate? On May 18, 2016, the CFPB surprised capital markets by releasing a report stating that one out of five short-term auto title loan borrowers ended up having their vehicles repossessed. Is this true? Are 20% of all cars repossessed in the car title loan industry? In the modern World Wide Web age, statistics on car title loans are not so mystical, hidden or unknown. Academics, such as associate law professor at the University of Houston Law Center Jim Hawkins, have compared CFPB data to state-issued data and noticed serious discrepancies and inconsistencies. Professor Jim Hawkins noted that the highest repossession rate for 2013 was found in Texas at 9.94%. If Texas was the highest at 9.94%, then how could the CFPB rate of 20% be accurate? Likewise, the Pew Trust “Auto Title Loans Report for 2015” found that the repossession rates were between 6% and 11%. Pew provided the professional researching analysis of delving deeper into the statistics to reveal even more about repossession. The State of Florida Statutes allows you to repurchase your vehicle before the auction sale. Pew noted this in the data, which showed that “15 to 25% of repossessed vehicles are returned after borrowers pay the balance in full.” Thus, Pew argued that the 6% to 11% repossession rate should be lowered to 5% to 9% (because some owners buy their cars back.) Pew clearly defines which state repossession data was being used for its study (state regulatory data from 2011 to 2014 from Idaho, Tennessee, Texas, and Virginia). Pew found that “[i]n [borrower] focus groups, some reported that fear of repossession motivated them to keep up with payments.” This threat of repossession increases diligence in repaying debt commitments and many be absolutely necessary with high-risk debtors. 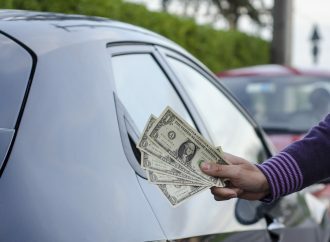 Pew discovered that “… because few loans end in repossession, [repossession and storage] fees are not a core part of the title loan business model.” Even Pew Research admitted that car title loan repossession rates are relatively low. Why Might the CFPB Data Be Faulty? In statistical analysis, one sample might not offer a true representation of the entire population. Without speculating, it could be possible that the CFPB sample was simply skewed and flawed, unintentionally. Science requires researchers to prove that their findings can be replicated, before they are accepted as truth. Pew Trust senior officer of the small-dollar loans project Alex Horowitz has pointed out that the CFPB may be using the “same data, but different analysis methods.” Horowitz suggests that it depends on “how individual loans and multiple loan sequences are counted in a calendar year. The CFPB measures subsequent loans made within a short period of time, typically 60 days, after a previous loan is repaid. These so-called loan sequences are counted over a 12-month rolling period, while state data is limited to loans counted in a calendar year.” “The CFPB numbers and the state numbers are not incompatible,” Horowitz concluded. Another factor is easy to miss. The CFPB is identifying “single-payment auto title loan borrowers” as having a default rate of 20%. But, not all title loans are “single-payment.” Even the CFPB admits that the overall repossession rate for all auto title installment loans is around 11% (page 2). The operative term for CFPB is “loan sequences.” It is easy to manipulate or redefine what a “loan sequence” consists of. An honest researcher will discuss the sample size, geographical area and testing method. “The report was based on CFPB’s analysis of about 3.5 million single-payment auto title loans made to over 400,000 borrowers in ten states from 2010 through 2013.” Unfortunately, the CFPB refused to name the 10 states used in the study. Serious scientists would not hide the states used for the study because their statistics might vary dramatically. “Pew purchased time on SSRS’ omnibus survey, EXCEL, that covers the continental United States. A total of 49,684 people were screened and asked about title loan usage. A total of 313 adults completed the full-length title loan survey. Sampling error for the full-length survey of title loan borrowers is plus or minus 6.4 percentage points, including the design effect …. Hart Research Associates and Public Opinion Strategies conducted a focus group that was exclusively composed of title loan borrowers in Birmingham, Alabama, in September 2011. In May 2014, Pew also conducted four focus groups composed exclusively of title loan borrowers: two in St. Louis and two in Houston.” Notice how Pew tells you the exact geographical areas, while the CFPB does not? 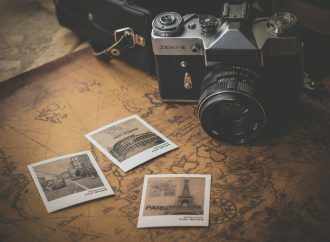 Why Does the Data Matter? The vehicle repossession data is used to gauge the affordability of the loans. All parties must benefit with a “well-fit” financial package that does not overburden the consumer. If the present situation is troublesome, then governments might institute new regulations to control the auto title loan industry. Multiple sources agree on the average state repossession rates and even give a range from 6% to 11%. The CFPB statement of 20% repossession rates is the outlier and not really supported by any other reliable data. Is the CFPB, the boy who cried wolf? The Soviet Union tried to tell the private sector how to run their business and it bankrupted the system. There is a serious problem when government bureaucrats, with no financial experience, try to run the private sector. Some of these CFPB proposals could remove the very pillars that make short-term lending so popular. Sometimes, before an organization will offer new proposals, it might publish a study supporting its case. This generates public discussion favorable to its cause. If the CFPB objective was to offer legislation curtailing title loans, then it might have had an ulterior motive. Did the CFPB have a dog in the hunt? In fact, on June 2, 2016, the CFPB issued a proposal to modify the guidelines for the entire short-term lending industry, including payday loans, pawn shops and auto title loans. Some of the rule changes would be quite dramatic. Also, the CFPB wants all title loan lenders to investigate the income and credit report of all applicants. This regulation sounds like something that the credit bureaus would love, but how does more red tape benefit consumers? Is the CFPB the advocate for consumers or the credit bureaus? Unfortunately, it gets worse. The CFPB is acting like borrowers are children who must ask permission of their parents to get a loan. The CFPB is proposing that the title loan lender investigate the income of the debtor to make sure he can pay his groceries, gasoline, utilities and rent. And finally, the CFPB wants to drastically curtail the popular “rollover” option. The CFPB wanted to remove or restrict the number of times that this “repeat short-term borrowing” option was used. The CFPB agreed with industry statistics showing that 80% of short-term loans were rolled over. At first glance, it seems like the CFPB is criticizing all of the key reasons why people prefer auto title loans: fast, simple, convenient and renewable. While the bureau has many powers, it cannot control interest rates (that power is reserved for the states and Federal Reserve). Indiana Wesleyan University assistant professor of economics Tom Lehman asserted that already “[t]he Uniform Consumer Credit Code adopted by most states already sets maximum interest rates that may be legally charged on consumer loans of varying amounts.” Furthermore, due to the American federalist system, it might be more beneficial to have each state determine its own cost for capital. One of the key benefits of car title loans is the “convenience” and reduced paperwork. Some bad credit debtors know that they will be turned down by traditional banks, if their income and credit are checked. That is why they go to car title loan lenders. Others want to get money fast. The CFPB rules might make it impossible for some bad credit debtors to get loans. The bureau proposal would create a process full of red tape, by requiring credit reporting system checks to make the “upfront determination of a consumer’s ability to repay the loan.” Well, shouldn’t that be the responsibility of the consumer? Debtors are grown adults and responsible for their choices. Furthermore, aren’t some borrowers so desperate that they will do anything to raise money quickly? Should the financial institution write out a grocery list of low-fat foods for debtors also? Many of these proposals sound more like what one would find during debt counseling sessions and not what should guide a financial lending industry. 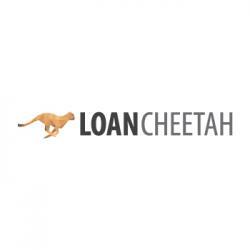 The auto title loan lender is in the business to make a profit, not provide financial advice. 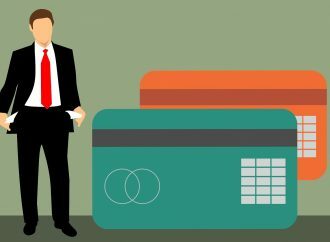 Many consumers prefer alternative lenders because the traditional banks are “simply not lending.” The banking industry has been frozen due to over-regulation. Will CFPB ruin the auto title loan industry with over-regulation too? The CFPB emphasizing repossession rates and then suggesting that the “rollover” feature be removed, is simply confusing. How do many title loan borrowers avoid repossession? They roll over their loans. On one hand, the CFPB praises longer-term loans; but then on the other hand, it seeks to remove the “rollover” feature, which is used to convert a short-term loan into a long-term loan. How does that make any sense? Also, if the accepted industry average for repossessions is taken to be 8% or so – then that means that 92% of auto title loan borrowers faithfully pay off their debts on time. Why should 100% of the auto title loan borrowers be penalized by these draconian CFPB rule changes? Pew Trusts found that “76% of car title loan borrowers would cut back on food and clothing if they did not have access to the loans.” Car title loans increase consumption. But, CFPB proposals could kill the industry. Instead of trying to follow “unprofitable, tedious CFPB bureaucratic red tape,” some auto title loan lenders might simply leave the industry. Who would loan to bad credit debtors, then? And would the American economy suffer when the debtors cut back their spending on food and clothing? Wealthy individuals and businesses have always been able to get a bank loan very easily and quickly. They might have developed a close, personal relationship with the local banker. Unfortunately, the poor have not had enjoyed the same access to capital. Indiana Wesleyan University Professor Tom Lehman argued in his September 1, 2003 article, “In Defense of Payday Lending,” that some government bureaucrats “look at subprime loans as another opportunity for government intervention and regulation.” This could be what is happening with the Consumer Financial Protection Bureau’s faulty report. Splashy news headlines don’t pay the bills. Professor Lehman concludes: “Of course, further government intervention is not the answer … Indeed, it is previous government regulation in the consumer finance industry that has, in part, led to the rapid growth of” the short term lending market, which includes payday and auto title loans. Each state in the union has the power to pass legislation admitting or restricting auto title loan companies. Automobile title loans are quite popular because they serve an underserved community need. Just as some advocate adding more health service firms to rural communities, some might argue for more auto title loan companies in lower-income communities. The short-term loan made to high-risk clientele, requires a different type of business model. The financial industry has a wide range of different market niches; different financial packages are created for different types of borrowers. The success of capitalism has been due to the private sector creating their own profitable business models and minimizing regulation. Repossession rights and fiduciary responsibilities are clearly defined in auto title loan contracts and follow similar concepts found in the auto loan and mortgage industries. The concept of collateral loans has not changed. In fact, the concept of collateral being used to back financial instruments is completely ingrained in American society. Just think about the petrodollar or home mortgage. The consumer is a grown adult with the rights, powers and duties to repay his debts. If he cannot repay the loan, he should not sign the contract, in the first place. Some consumers might make a conscious decision to allow their vehicles to be repossessed, because they are in need of repairs. Adding more bureaucratic red tape might lead to fewer loans. Sadly, the consumers who desire title loans, the most, might no longer have access to them. Also, reduced consumer spending, could harm the economy. In many ways, the CFPB’s politically-motivated disparagement of car title loans seems to be based on a desire to provide more employment for government bureaucrats. Its failure to identify the states for its study, is a red flag that something is amiss. Also, its stated repossession rates seem erroneous, flawed and faulty, because they are not supported by state-collected data. In a democracy, the people have the right to choose. Hopefully, this continues with respect to car title loans.